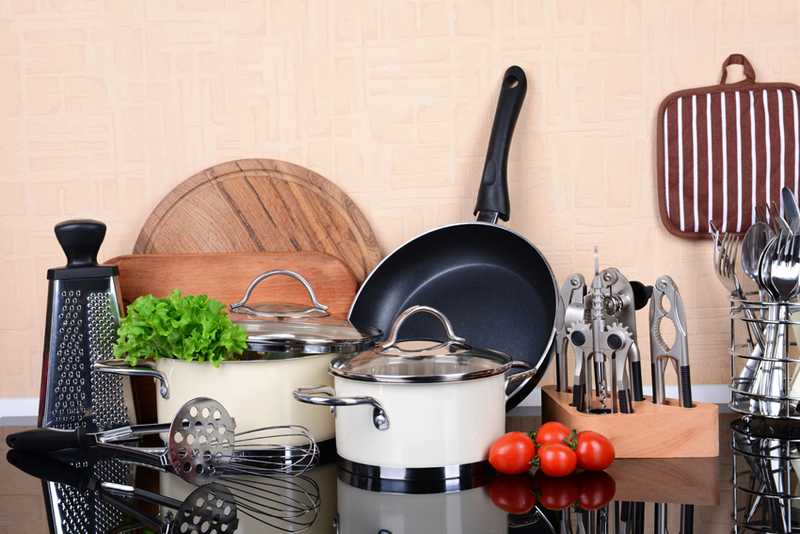 There are many different types of metal cookware, and even a few non-metallic options. Some metals conduct heat better than others. Good heat conductivity means energy is not lost and wasted between the source and cooking utensil; but more importantly it means the food should heat evenly, not burning in the middle while staying undercooked at the edge. Professional chefs prefer high heat conductivity for complex recipes. If the cooking procedure requires temperature changes the highly conductive cookware responds very quickly. Gas stoves and high heat conductive metals are considered the optimum combination. Non-stick cookware is convenient for both cleaning and actual cooking- virtually nothing is left on the cooking surface. But not all non-stick surfaces are the same. Teflon has been found to cause health problems, at least if overheated. Higher temperatures cause the non-stick material to break down and release toxic gas, poisonous to humans and any pets. Many metals are actually needed by the human body; copper and iron are needed in small quantities. Unfortunately, cooking with copper pans tends to put too much of this mineral into out diet, causing serious health problems. Aluminium may also be a problem here. Iron tends to be acceptable even in reasonable quantities. Life is too short to spend time cleaning; and money is wasted if we have to continually replace worn utensils. Buy quality, and be proud of the long lasting advantages- quality cooking on equipment that last for decades. 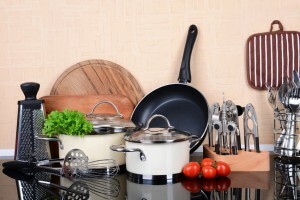 Cheap cookware can look an attractive option. But if you have to replace it every year there is no real saving. And no risk it poses to your family heath is worth the price. Good cookware that lasts for decades saves money after only a few years, and if it means easier cooking and less cleaning, that is a bonus. Stoneware Cookware combines several metals with a super-tough stone surface to give the chef all the advantages of durability and great heat conductivity. Stone cookware lasts for decades with minimal effort and great results.